As a landlord you have an obligation to meet the strong demands of your clients, and at the same time keep a close eye on your balance sheet. At John Russell Insurance Services Limited we appreciate your demands, and we offer a specialist insurance service to support you and your business. The timeless effort of searching and comparing quotes from insurer to insurer, questioning whether you have the right level of cover, can be a large weight to carry. John Russell Insurance has access to various specialist property owners policies, specifically designed to cater for your needs. Partnering with Broker Network, property owners like you could tap into the resources and expertise of the UK's longest established commercial insurance broker network. 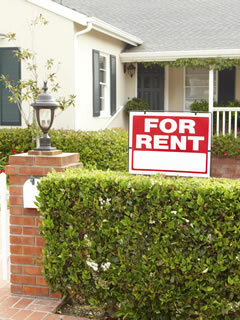 We have extensive experience in arranging insurance for property owners. Whether you have just one or several properties in your portfolio, we can arrange insurance that gives you valuable protection. As a property owner, you worry about choosing the right tenant, but you needn't worry about choosing the right insurance. Property owner insurance arranged through John Russell Insurance Services Limited incorporates wide cover that meets the needs of a wide range of UK properties and property owners. Having worked with property owners from around the UK, we have know that the policies we have available from many leading UK Insurers offer real value to you; policies that we feel sets us aside in this specialist area. At John Russell we believe in treating our customers as individuals. So rather than offer a generic, instant request-a-quote, we will call you at a time convenient to you to discuss your individual property insurance needs.